4th June 2018, New Delhi: After 16 consecutive days of rise in petrol and diesel prices, a marginal drop of a few paisa per litre was announced recently. This miniature drop in the prices will not help in reversing the spiral of rising prices that has started in basic commodities. Logistics constitutes a major cost in most essential household consumables like fresh vegetables, fruits and milk. Due to the fuel price increase, these products have now started witnessing a rise in prices. 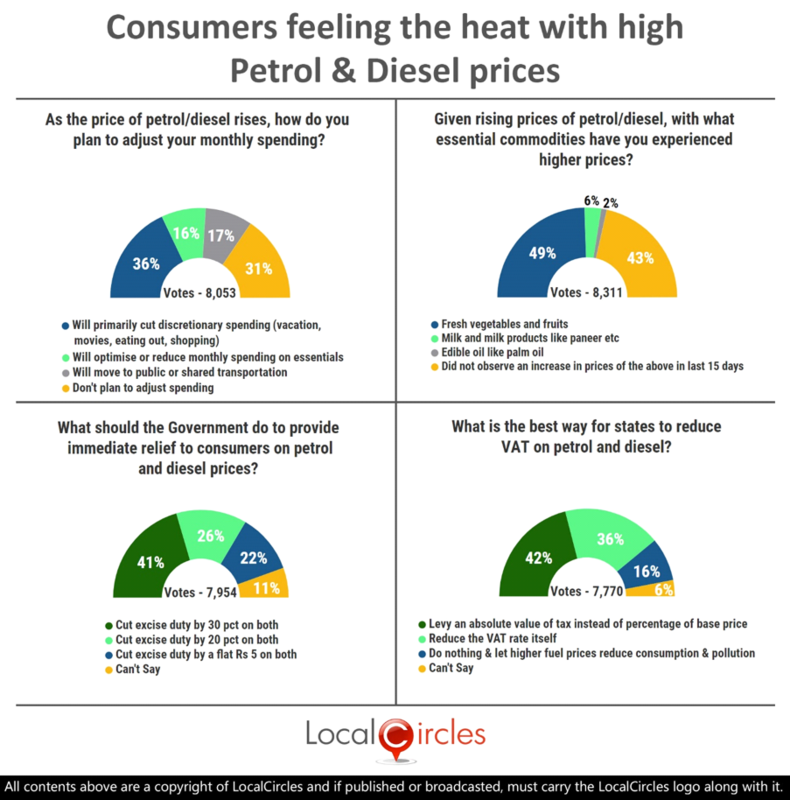 LocalCircles conducted a survey to gauge the mood of the consumers on how they are handling the fuel price increase and what are the products which have already been affected by the fuel price hike. 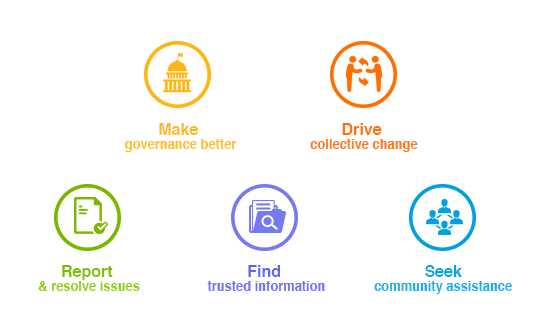 The survey received more than 16,000 votes. 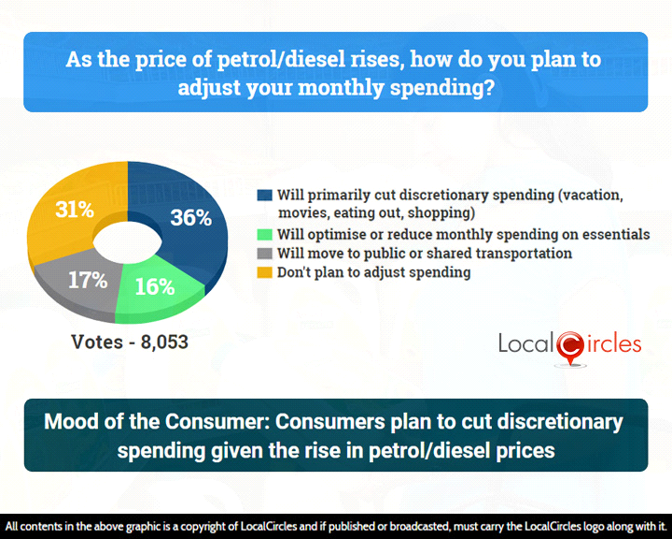 The first poll asked people as the price of petrol/diesel rises, how do they plan to adjust their monthly spending. 36% said they would primarily cut discretionary spending like vacations, movies, shopping, eating out etc., while 16% said that they will optimise or reduce the monthly spending on essentials. 17% said they will move to public or shared transportation while 31% do not plan to adjust their spending. The oil manufacturing companies had not increased the fuel prices since April 24 till the commencement of Karnataka elections but as soon as the elections were over, the fuel price hike resumed. Transporters have also been itching to increase freight rates due to a sharp increase in diesel rates. 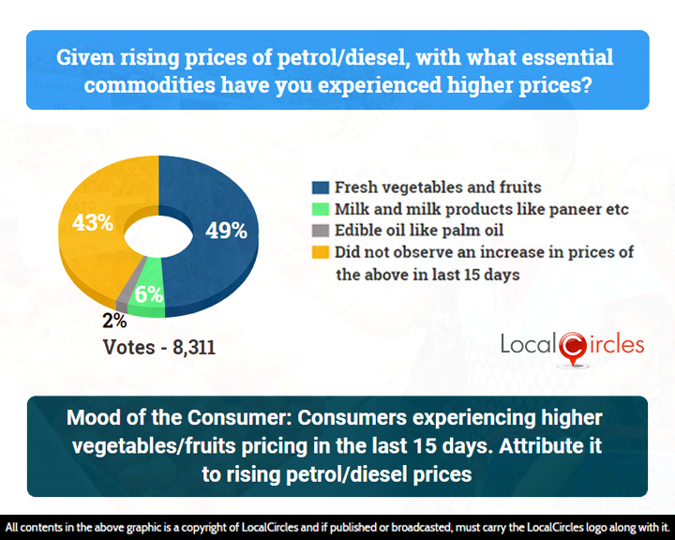 Given the rising cost of petrol and diesel, the second question asked with what essential commodities have they experienced higher prices. 49% said fresh vegetables and fruits and 6% said milk and milk products like paneer etc. 2% said edible oil like palm oil while 43% said they did not observe an increase in prices of the above in last 15 days. On the other hand, farmers too have been protesting the hike is diesel rates as this would directly affect the cost incurred by them in their farming activities, making them spend more money for the same amount of work and crop yield. According to media reports, farmers in some states have already gone on a strike against the ongoing agrarian crisis in the country. In related polls conducted by LocalCircles last week, 41% consumer had said that government should reduce excise by 30% while 42% had said that states should levy an absolute value of tax on the base price instead of a percentage.